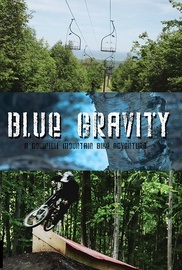 An adrenaline filled documentary film that showcases downhill mountain biking at Blue Mountain Resort and the highlights of the only 3 race season. An adrenaline filled documentary film that showcases downhill mountain biking at Blue Mountain Resort and the highlights of the only 3 race season. See what it takes to ride and race through the eyes of athletes and the Kamikaze Spider Riders team. Winner Best Sports Documentary Worldfest Houston, Silver Remi Award Worldfest 2013.